Family and Community Support Services (FCSS) offers counselling services to strengthen and support individuals, families and communities by providing professional counselling services to residents experiencing stress or life difficulties. With support from provincial and municipal governments, FCSS services are available at minimal or no charge. Michael Fedunec is the non-profit organization’s counselling program supervisor. “The role is to oversee the counselling program, as it relates to the various municipalities FCSS covers,” he said. Michael’s brand new role at FCSS started Jan. 7. Fedunec is a Certified Professional Counsellor (CPC), a Certified Anger and Depression Management Consultant, a Certified Medical Meditation and Stress Management Consultant, a recognized Eye Movement Desensitization and Reprocessing (EMDR) Therapist and is a Clinical Traumatologist. 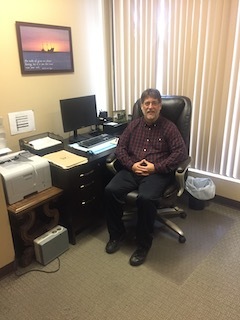 Michael’s counselling and supervisory career has spanned 26 years with individual, couples, and family counselling. Most recently, he served as executive director of the Crossroads Counselling Centre Society in Lethbridge. According to Fedunec, he will work alongside counsellors in developing programs best-suited for the various communities in which FCSS serves. He will also provide supervision, which will include keeping counsellors’ credentials current and his role will be to also make sure counselling services mandated by FCSS don’t go outside of its set parameters. “It’s going to require a lot of strategic planning, visioning, planning, implementation, identifying needs of the various communities and also working in co-operation with various community agencies and organizations to best meet the needs of families in those areas,” he noted. For counselling services please contact 587-370-3728 or e-mail intake.coordinator@fcss.ca.